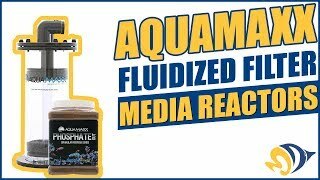 AquaMaxx Fluidized Media Reactors require a small pump/powerhead and tubing (sold separately) to push water through the reactor. You can plumb the reactor using 1/2" or 3/4" flexible vinyl tubing. Using a ball valve is highly recommended because it will allow you to regulate the flow rate. Since different types of media have different flow rate requirements, be sure to reference the manufacturer`s suggested flow rate for the media you intend to use (it`s usually listed in the product description and/or on the product label). This one really works, it's silent with good water flow. 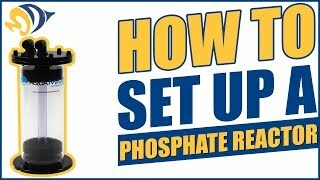 Very easy to set up and maintain, I've only had it on for a week so the verdict is still out on removing the phosphate that is causing my green hair alge problem.